The end of a four day visit. 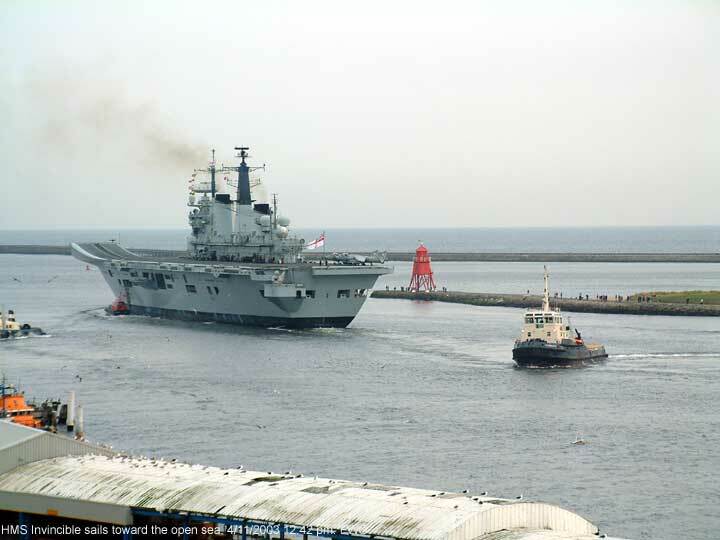 HMS Invincible sails from the river Tyne 4/11/2003. HMS Invincible passes the North Shields fish quay.